ACARA is made up of many partners within the area. Here are a few of those groups that may help you find your place within our community! It is the goal of Steppingstones To Recovery to (1) support the recovery of clients and their family members and reduce symptoms related to mental illness and/or substance abuse, (2) enhance the quality of physical, emotional, and spiritual well-being of persons served, (3) improve overall functioning of persons served, and (4) re-enter society with the knowledge and tools necessary to avoid recurrence of symptoms, seek additional help when necessary, and live in a happy and fulfilling manner. To fulfill this mission, STR relies heavily on evidence-based materials which include components of motivational interviewing and the stages of change, cognitive behavioral therapy, and interactive journaling. Our mission is to provide the highest quality behavioral health care in a professional, responsive, and caring manner, which is valued by clients, families, communities, and employees. Our goal at ACE DUI is to educate and serve as a preventive measure to assist in eliminating future problems with Alcohol / Drugs or Traffic Violations. At Three Rivers we never forget that patients are people. People with potential, who can have better relationships and live more productive lives. 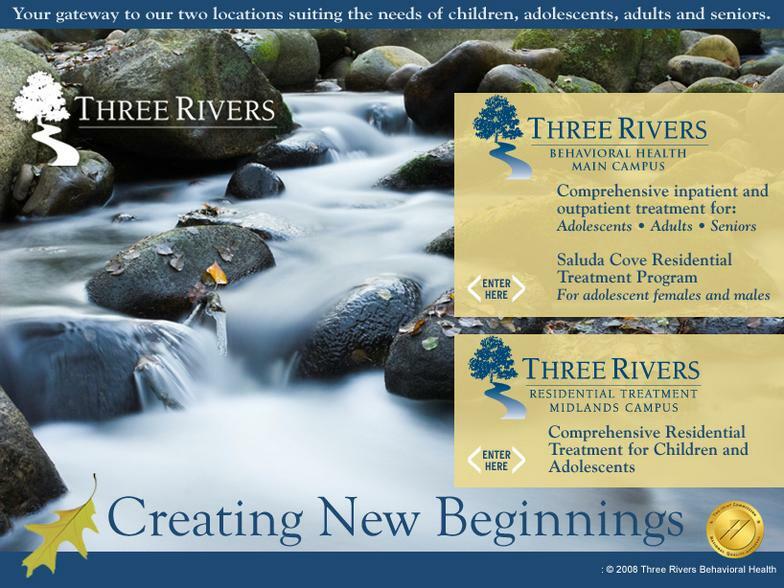 For those who seek a secure environment, healing, hope, treatment and recovery, Three Rivers is the first place for a second chance. The mission of Hope House Inc. is to apply a holistic approach to treatment in a long-term residential setting in order to break the cycle of chemical dependency for women, their dependent children, and their families. Turning Point provides a place of healing and hope when life becomes unmanageable. For more than 25 years, we have offered inpatient and outpatient services to adults who suffer from behavioral health disorders and/or substance abuse.